UPDATE: April 8, 2019: Australia's Therapeutic Goods Administration released a statement Friday saying it called a meeting of its BIA-ALCL expert working group to "inform decision making" in response to recent reviews of breast implants in France, Canada and the U.S.
Other countries that have acted on breast implants since FDA's March 25-26 meeting include Saudi Arabia, which issued a Field Safety Notice dated March 28 on Allergan Textured Breast Implants and Tissue Expanders, and the Netherlands, where the Dutch Plastic Surgery Association is facilitating a voluntary suspension of macro-textured and polyurethane breast implants, according to reporting by the International Consortium of Investigative Journalists. In what it called "a precautionary measure," Health Canada Thursday moved to suspend Allergan's license for its textured Biocell breast implants, citing the need "to protect Canadian patients from the rare but serious risk of breast implant-associated anaplastic large cell lymphoma (BIA-ALCL)." The action followed a more sweeping decision this week by French regulators to ban all macrotextured or polyurethane-coated breast implants, impacting Allergan as well as five other manufacturers. The news comes the week after FDA held a two-day, non-voting advisory meeting on breast implant safety, during which recipients of breast augmentation or reconstruction called for a U.S. ban on textured implants. The agency has yet to announce any regulatory response. While FDA has touted itself as the first public health agency in the world to alert women to the risk for BIA-ALCL, other countries have taken faster action by placing harsher restrictions on industry. FDA responded to the flurry of international activity with a statement saying it intends to communicate which actions, if any, it plans to take "in the coming weeks," noting that meeting participants "expressed varying views on banning textured implants, without consensus." The rare cancer of the immune system has generally been tied to textured implants rather than smooth ones, but some surgeons stand by the fact that texture can be an important characteristic in helping an implant stay in place and reduce the risk of capsular contracture, especially in certain breast reconstruction cases. Health Canada announced it launched a scientific assessment and safety review of macrotextured implants and BIA-ALCL in November 2018, the same time the agency vowed to step up both pre- and postmarket medical device oversight. As of Thursday, Health Canada said it had been notified of 28 confirmed cases of BIA-ALCL nationally, 86% of which involve Allergan's Biocell implant, which the agency noted is the only macrotextured device available in Canada, adding there are no polyurethane-coated breast implants for sale in the country. One retrospective study published by University of British Columbia plastic surgeons in 2018 found Biocell implants had the shortest time to explantation and the highest rate of implant performance failure. Representatives from Health Canada, which allows three of the U.S.'s four approved manufacturers to market in their country, presented at FDA's recent meeting, sharing that about 75% of implants used in Canada now are smooth, and that no cases of BIA-ALCL have been expressly linked to smooth implants. 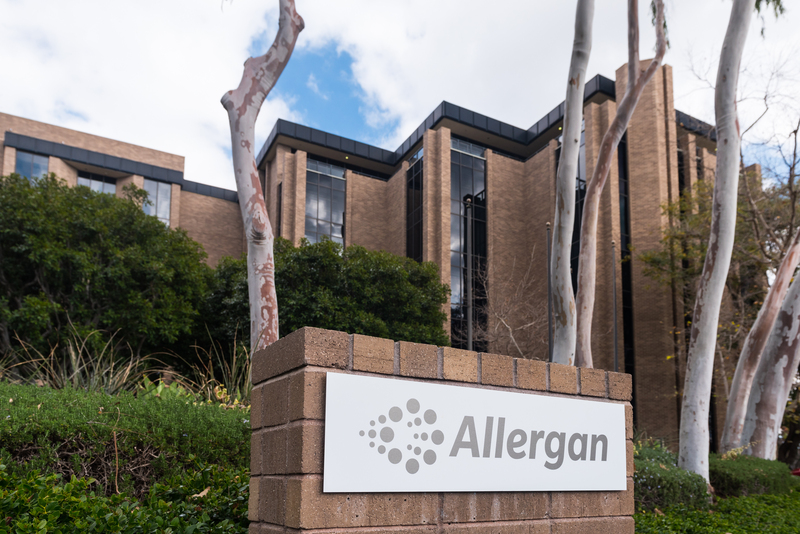 The regulators said if they did not receive satisfactory new evidence from Allergan within 15 calendar days, they intend to revoke marketing authorization for Biocell devices. Health Canada said its complete breast implant safety review will be available by the end of this month, and the agency "will not hesitate to take further action, as necessary." French regulators took a broader approach, with health agency ANSM announcing this week a ban on all macrotextured or polyurethane-coated implants. ANSM said that since 2011, 59 cases of BIA-ALCL have been reported in France. The decision affects Allergan as well as other European breast implant brands Arion, Sebbin, Nagor, Eurosilicone and Polytech. Breast implants have a uniquely touchy history in France due to a 2010 scandal in which a popular implant maker was found to be manufacturing them with industrial-grade silicone. "Allergan strongly disagrees with the ANSM's decision to restrict the use of macro-textured and polyurethane breast implants in France since it lacks the proper evidentiary basis," the company said in a statement to MedTech Dive. Allergan also said it's planning a response to Health Canada within the required two week timeframe. Neither Canada nor France expressly recommended in their announcements that women with the affected implants get explant surgery. While FDA hasn't announced similar actions since its meeting, the agency did issue warning letters to two manufacturers for failing to fulfill post-approval study requirements the week before the meeting.